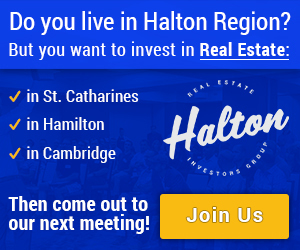 Hello Hamilton Real Estate Investment Owners!! This past Saturday we had one of our best Mr. Hamilton Inner Circle meetings! The consistent feedback we get from our guest speakers is how sophisticated and experienced our attendees are. You see, many real estate investment clubs are “meetups” – they are open to the public and often attended by novices with little experience to share. There’s nothing wrong with that but if you are looking to mastermind with people who will motivate you and improve your game then you want to surround yourself with successful people, attendees who actually walk the talk. Many thanks to Mark Trochanowski of Paramount Equity Financial Corporation from making the Saturday morning trek from Pickering to demonstrate to us how him and his family have invested in 49 mortgages as the LENDER. No that isn’t a typo, 49 mortgages! Including Mark’s parents, his in-laws, etc… you better have a safe and secure investment if you’re going to invest your mother in law‘s money, imagine how awkward the family barbecue would be otherwise. How much will the new GO Station drive development? 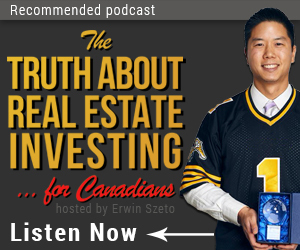 As a Hamilton Real Estate investor, I’m sure this topic interests you!! I remember just four years ago showing a non-legal, non-conforming duplex on Murray St about 300 meters from the new James St North Go Station. The property was tired in condition, wouldn’t cash flow as a single family rental but anyone with a middle term investment horizon of five years or more would have seen the value. That property was listed for around $220,000 then in 2011 and just recently, a similar property sold for over $400,000. Keep that story in mind the next time you want to invest near an upcoming major transportation improvement. The investment may not make sense today but if you can afford neutral cash flow in exchange for hundreds of thousands of dollars in future appreciation, this may be the strategy for you in the areas surrounding Hamilton’s future Go Train Station and Light Rail Transit stations.